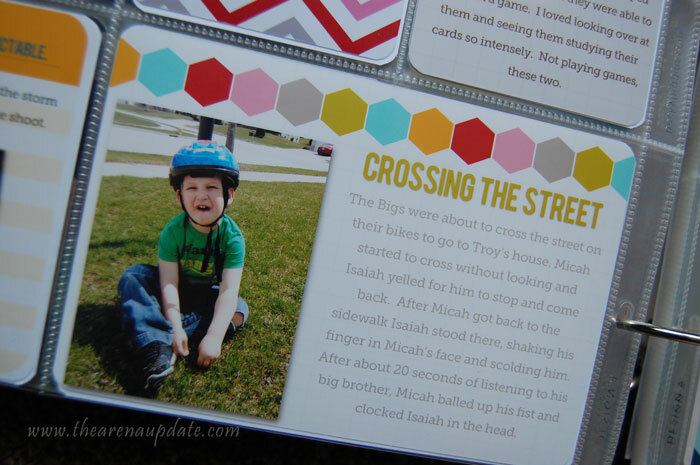 Welcome to Project Life Tuesday! 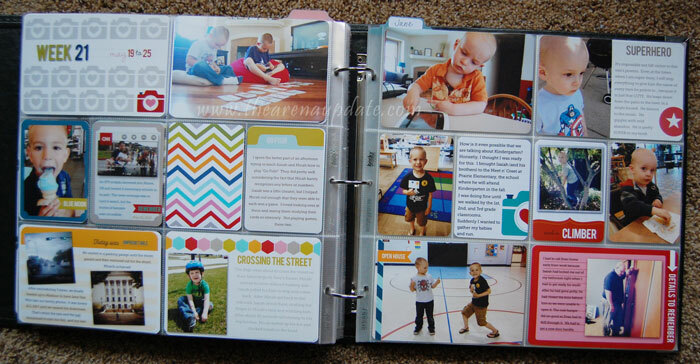 Every week I share photos of a layout I've been working on, either in my family's weekly book or my son's baby book. 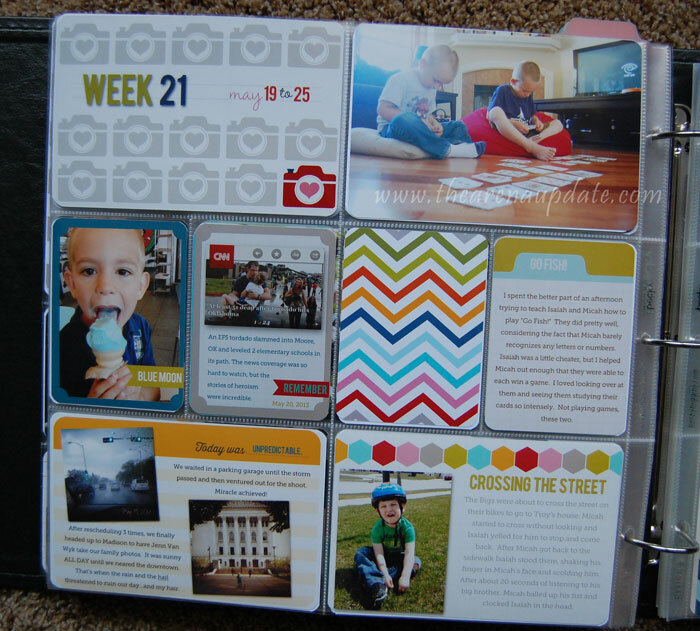 I started using the Project Life system in 2010, so this will be my fourth full year! 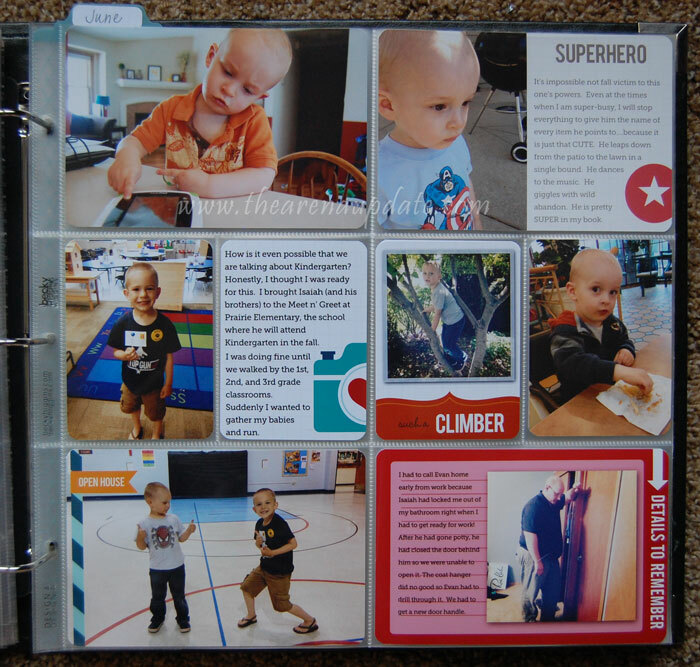 I used to be a very traditional scrapbooker who would spend hours on a single layout to document one or two photos. Thanks to Project Life, I have become much more practical and I'm able to record a multitude more memories. I got WILD for this particular week and went ALL DIGITAL, which is something brand new for me. It was a fun little experiment, but I'm pretty convinced I am not a digital gal at my heart. This is all the Honey kit. I 100% copied the design of my title card from Sara. She showed me a couple tips on how to create drop shadows on the text and I had to play around with it a bit. News stories like this are never easy to hear about, especially when there are folks I know who might be affected. Thankfully, all my OK blogger buddies were safe and sound. 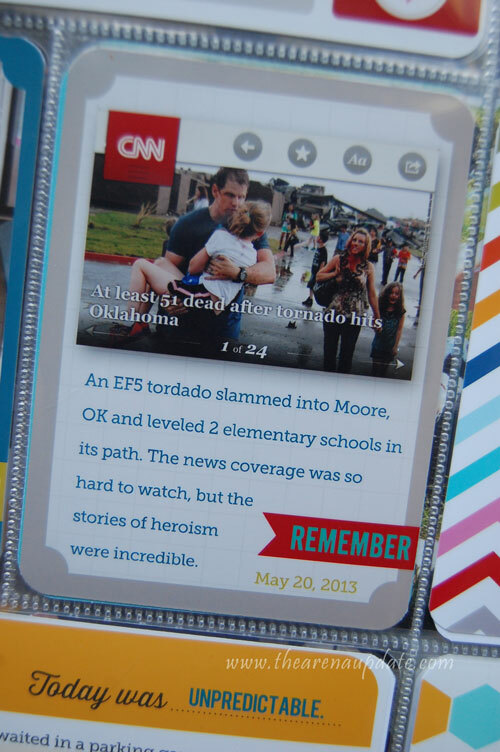 I used a screen shot and a Honey kit journaling card to create this. Just another day around here with my Micah. He is always a valuable resource for a good story. Kindergarten Open House, a tree climber, a superkid, and a super annoying incident where my kid locked me out of my own bathroom. Overall, I love how bright and cheery the Honey kit is! 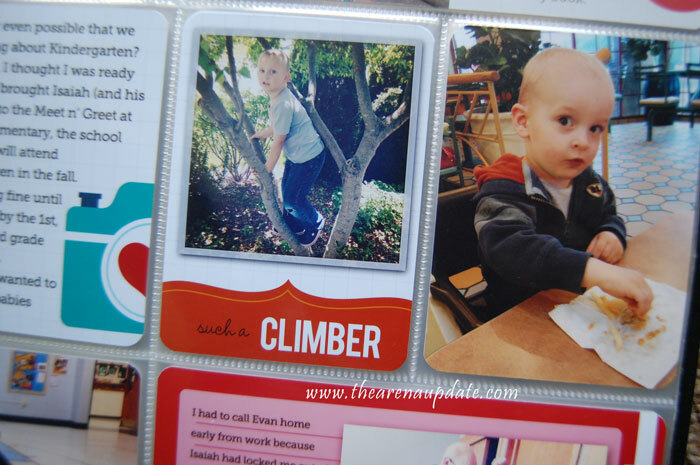 It's great for using with my rambunctious kiddos. I hope you have a wonderful week and we'll see you back again next time!